If you’re new to Banjo Mountain you’ll be spending a lot of your time here. 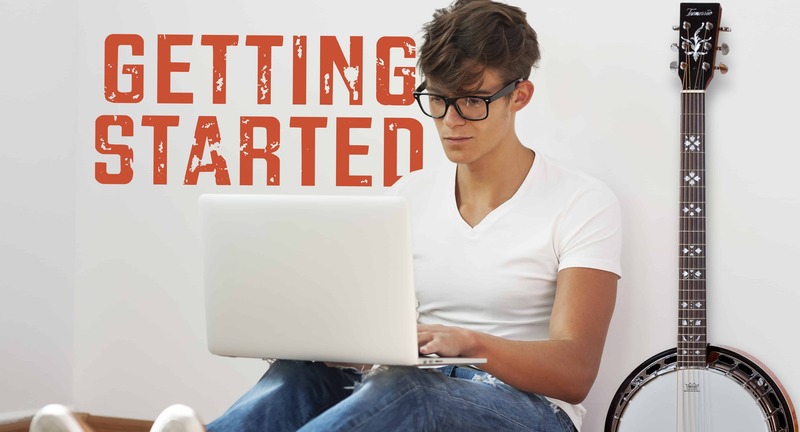 Follow the lessons in the order they are laid out and practice as often as you can. Frequency is better than length. This means it’s better that you only practice 10 minutes but practice daily rather than long sessions once a week. More on that in the beginner section. You can get to the Beginner Section in the menu at the top or in the quick links on the Member Home (which is where you land when you login). For convenience, you can continue reading through this page and the link is at the bottom. 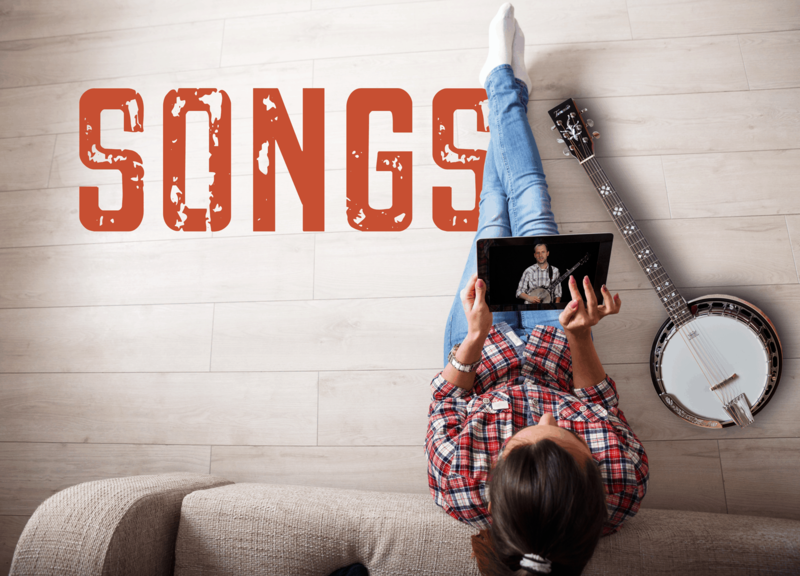 You’ll get to learning a song after you’ve practiced some basic skills for multiple weeks. Don’t rush this (which you’ll be tempted to do). Once you’re here you’ll see we have divided songs into three categories: Beginner, Intermediate and Advanced. Creative, we know. This is somewhat subjective but will give you a clear idea as to which pool you should wade in to. You can find these categories in the menu at the top or in the quick links on the Member Home (which is where you land when you login). There is more to playing banjo than learning songs. Aside from the beginning skills or learning roll patterns, working on fretting, etc, there are skills for intermediate and advanced players. These range from learning intro licks and backup fills to chord inversions jamming skills. You can navigate to these sections through the menu or from the Member Home page. What you need in your life is another company to follow on social media. You need that like you need to catch a flu. We kid! None the less we create damn good photos and videos (if we do say so ourselves) so check us out on your favorite platforms. You can navigate to our Social page, where you’ll find all of our links, via the menu or the Member Home page Quick Links. Each lesson page contains a Main Video which constitutes the core of the lesson. 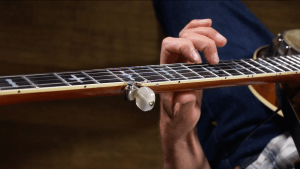 If the lesson happens to be a song, John (our teacher) will play it at the top of the video and then walk us through through it note-for-note with easy-to-understand explanations regarding picking and fretting. The Main Video also includes close-ups of John’s picking and fretting hands as he is playing. 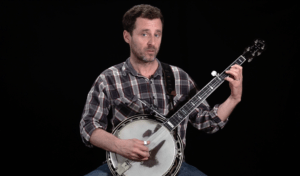 These Main Videos are specifically designed to simulate the face-to-face dynamic of an actual banjo lesson in the real world. In addition to the Main Video, Focus Videos give the student a close-up view of John’s hands while he plays. Unlike most music instruction videos, these shots are from the player’s perspective, making it easier for the student to observe and simulate what John’s hands are doing. Additional Focus Videos are provided that play 50% slower, further enhancing the student’s learning experience. 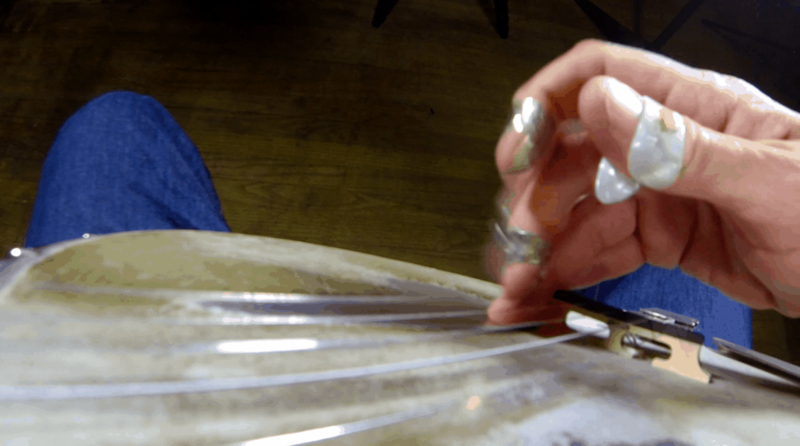 One of the things that gives bluegrass banjo it’s distinctive sound is the complex picking patterns of the right hand. Though these Focus Videos we can hurdle challenging right hand patterns. As with the left hand Focus Videos the Lesson Page also has a version at 50% speed. In addition to the Focus Videos, we’ve provided a written representation of John’s playing for each lesson. 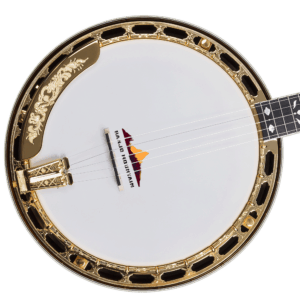 Banjo music is not written using musical notation – instead, tablature is used. 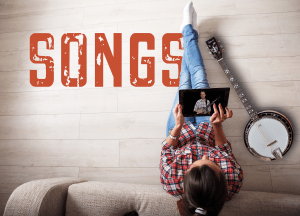 Tablature is a written representation of the banjo’s strings and fretboard. Once the student has taken a look at the Main Video, they can then peruse the tablature which will further enhance their understanding of that lesson’s music.